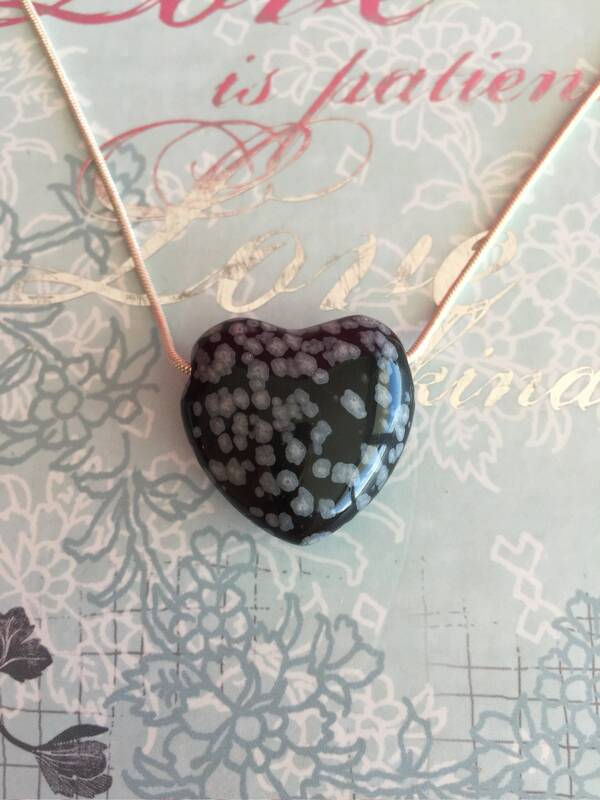 Receive this premium quality snowflake obsidian Heart Crystal Pendant with a necklace. 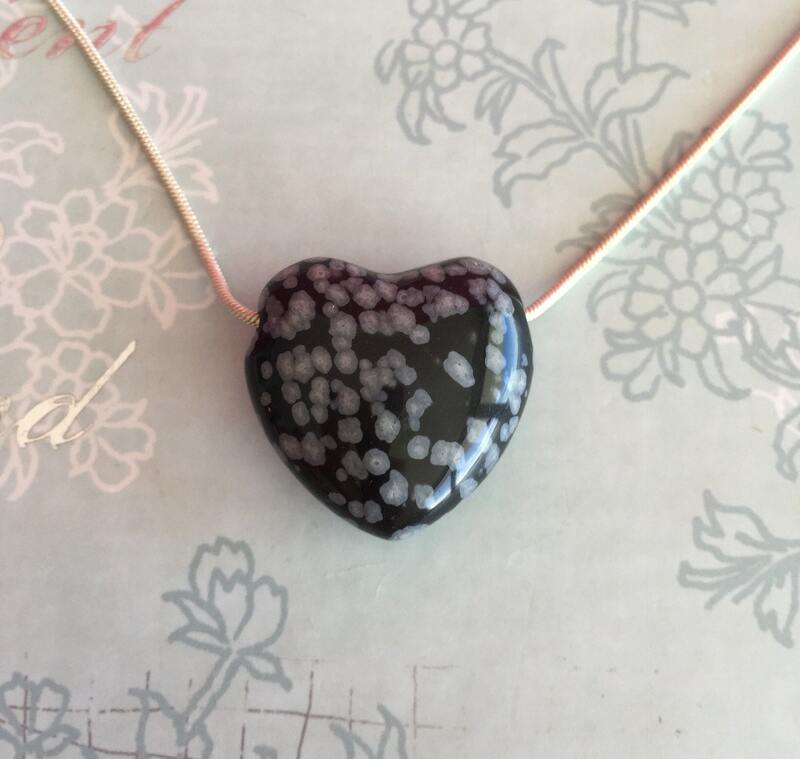 This healing crystal aids in seeing patterns in life and recreating them in a more beneficial way. It is a stone of serenity and purity, and can shield against negativity. It is associated with the root chakra.